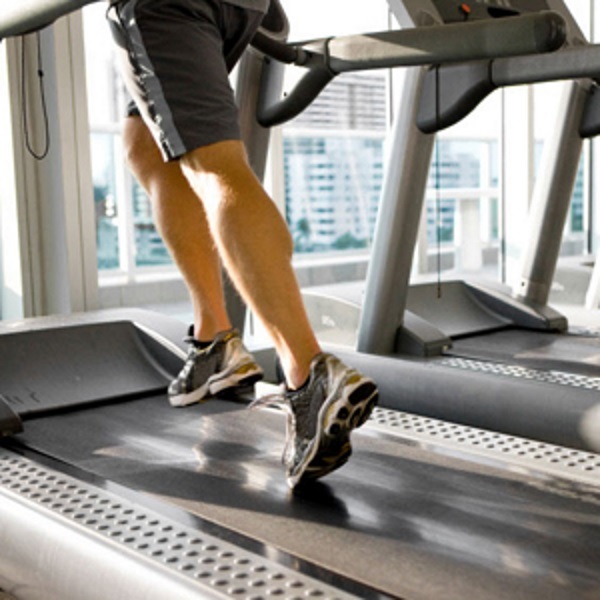 Any gym worth visiting will have screens so you can watch TV while doing your cardio training. If you use the equipment in the right way – and watch music videos – you can improve the effect of your workouts. But if you use them to watch an episode of something like MythBusters, you’ll benefit less from your cardio training, according to sports scientists at the University of Portsmouth in England. It’s well known that background music improves the quality of cardio and endurance performance. But what about TV? The effect of watching TV on sports performance was not clear, so the Brits decided to investigate. The researchers chose six healthy male students from the university rugby and football teams and got them to run on a treadmill for 30 minutes on a number of occasions. The students warmed up for the first 15 minutes and then ran as fast as they could for the second 15 minutes. The researchers adjusted the temperature where the students ran to 26 degrees, as fatigue sets in quicker at this temperature. The students ran on one occasion without watching a screen [CON]. On another occasion they watched the recording of a political trial [NM]. On another occasion they watched music videos that the researchers thought would have a motivating effect: Slam by Pendulum (because of the tempo: 139 bpm), Eye of the Tiger by Survivor (because of the emotional effect) and Rise Above It by Lock Stock and Barrel (because of the uplifting lyrics) [M]. When the students watched the music videos they ran faster during the latter 15 minutes than when they watched nothing, and they ran 251 m further as well. When the students watched the trial they ran a little less fast, and ran 164 m less than during CON. The improved performances seem to be the result of an increased willingness of the students to make an effort. The students’ heart rate increased more during the M run than during the CON run, and increased less during the NM run than during the CON run. When the researchers measured the concentration of lactic acid in the blood of the test subjects they detected a similar pattern. The lactic acid concentration rose more during the M run than during the CON run, and rose less during the NM run than during the M run. Journal of Sports Science and Medicine (2009) 8, 435-442.